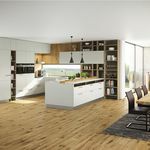 ewe kitchens: Creative kitchen concepts from Austria ewe is one of the leading kitchen manufacturers in Austria, and a trendsetter in the sector, and has manufactured exclusive kitchens for many years, which stand out due to design language, function, quality and ergonomics at the highest level. With a skilful mixture of modern manufacturing technology and craftsmanship, it is possible to combine trends and tradition. 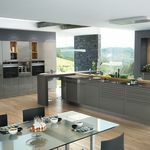 This means that the person is always the focus, and the desire to make working in the kitchen as pleasant and ergonomical as possible for them. Ewe not only provides furniture, but also quality of life, with a high standard of functionality, luxurious materials and ecological awareness. 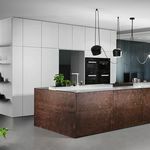 With the stand alone premium brand INTUO, ewe focuses on inspiring kitchen models that are full of character, which gain points for minimal design and luxury materials. 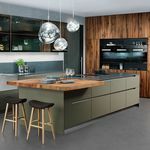 INTUO kitchens are reduced to the essentials, with an expressiveness that is appealing, with shapes that are touching, with individuality that is staged vividly, and rough edges that reflect personality. They captivate with the perfect symbiosis of clear forms and traditional elegance. Inspiration and source of life merge together. 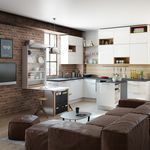 INTUO kitchens are character kitchens - open to the world.